COMMAND + W closes the current tab on your web browser, as well as open documents in Pages / Word / etc. COMMAND + H hides the current application and all of its windows. OPTION + DELETE deletes entire words so you don’t have to hold down the delete key forever. CONTROL + COMMAND + D defines any highlighted word, opening the dictionary, thesaurus, wikipedia, and other helpful resources. CONTROL + COMMAND + V pastes your copied text without including its formatting. CONTROL + OPTION + COMMAND + EJECT quickly shuts down your computer. 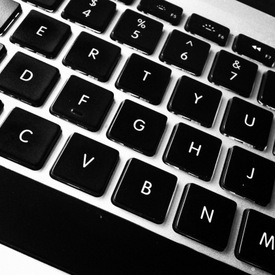 Source: “If You Have A Mac, Memorize These 13 Keyboard Tricks” by Carina Kolodny, published at The Huffington Post. 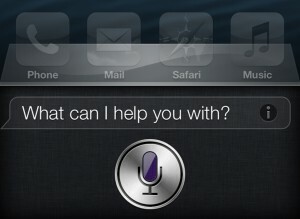 Admit it, we all love Siri. Whether or not we’re using her to her fullest potential, we love having her on stand-by for a good laugh (just tell Siri “I love you” or “Why did the chicken cross the road?”) or for a confidence boost (tell Siri “thank you” and wait for her response), at the very least. Voicemail – In this day and age, I don’t get nearly the amount of voicemail I used to. The shear dominance of email and texting has rendered the standard voice message somewhat obsolete – at least in my life. However, despite the fact that I don’t get much of it, I typically like to return these calls when I’m driving between other appointments during my day. Siri makes that so simple. Ask Siri, “Do I have new voicemail?” or “Play my last voicemail.” When finished playing the message, she will ask “Would you like to call back or play the message again?” Simply tell her to call back and check one more thing off that “to do” list. 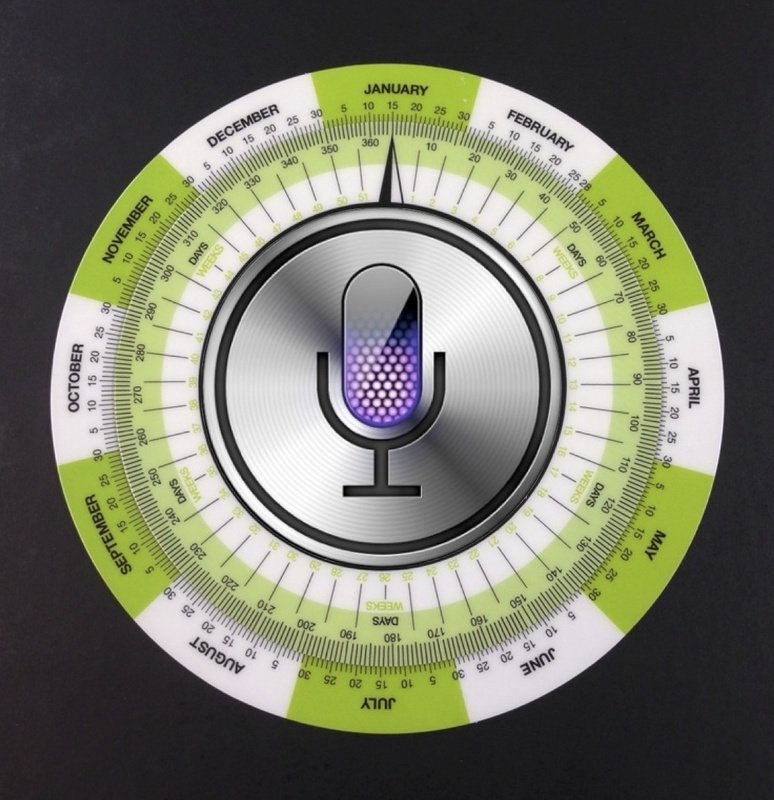 Scheduling – This is certainly one of Siri’s finer abilities – keeping up with a constantly changing schedule. Half the time, I have no idea what’s on my plate for the day, so on the way into work, I just ask: “Siri, what does my day look like today?” She gives me a run down of my scheduled appointments already on my calendar. When I’m notified of a meeting I can simply tell Siri: “Set up appointment with Dr. Smith at 10:00 AM on Friday.” or “Schedule a meeting about our taxes at 4:00 PM today.” And, presto, Siri adds those items to my calendar. Maybe the best thing, especially for this mom of 6 kids with very fluid schedules, is that Siri can expertly handle any change that may come up with only minimal direction from you. Doctor appointment cancelled? Say, “Cancel my 10:00 AM appointment on Friday.” Done. Lacrosse practice moved from Monday to Tuesday? Simply say, “Move Lacrosse practice from Monday to Tuesday.” Done. If any of the new appointments conflict with your calendar, Siri is also smart enough to catch those too and will alert you, confirming no other changes are necessary. Finding Food – Anyone who knows us, knows my husband (@TheMacLawyer) and I are foodies. But not only are we foodies, we also love to travel, so when we’re in a new city (or even just a big city with lots of variety), we don’t always know the best places to go. Siri to the rescue! Tell her “Make me dinner reservations for two tonight at 8:00 PM.” That’s it. Siri will scour the nearby locations for restaurants that have that availability and serve up a list of possible options organized by their ratings on Yelp. Simply scroll through to find one to your liking and you’re set. The Dock is a helpful feature of Mac OS X. It faithfully holds your programs at the ready for you to use. Did you know that there are several Dock tricks and tips that can make it even more useful? By default, the Dock is located at the bottom of the screen where it takes up quite a bit of real estate on your screen – especially if you’re using a laptop. You can reclaim some screen space by relocating the Dock to the left or right side of your screen. 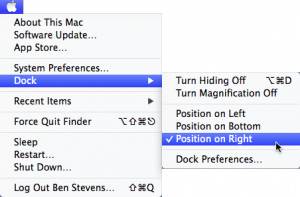 To do so, simply click the Apple menu > Dock > Position on Right (or Left). I find this particularly helpful on my 11″ MacBook Air, and my preference is to have it located on the right. Too much of anything is bad for you. You can hide the Dock when it’s not in use to gain even more screen space. With this feature activated, the Dock will only appears when you move the arrow to its side of the screen. You can hide the Dock in either of the following ways: (1) Apple menu > Dock > Turn Hiding On, or (2) Go to System Preferences > Dock > Click the “Automatically hide and show the Dock” checkbox. I like this feature a lot, as it provides me with more working space. Wouldn’t it be great to make the Dock as small as possible but still be able to see (and easily access) the programs parked on it? With the Magnification option, you can do just that, and you can control how big or small the magnification should grow to, and how big or small the Dock should appear in its normal state. From the Apple menu, choose Dock, then Dock Preferences (or open System Preferences and click Dock) to open the preferences. Here, you can move the Magnification slider to control how big the icons will grow. You can also adjust the size of the Dock to make it larger or smaller. I keep my (hidden) Dock fairly large and keep the magnification maxed out. Let’s face it, emptying the trash is just not very exciting. You hated it when you were a kid, and you don’t like doing it much more now as an adult. However, it’s one of those things that simply has to be done from time to time. 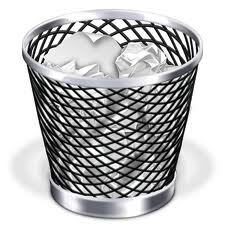 You probably know that all deleted items on the Mac end up in the Trash, and that you can Empty the Trash (delete its contents) by going to Finder > Empty Trash. However, this process is admittedly slow and agonizing, just like when you were a kid. One easy way to save time is to empty the Trash right from the Dock. To do so, simply select the Trash (two finger tap on a touchpad or control + click with a mouse), and a short menu then appears from which you can Open or Empty Trash. If you want to Secure Empty Trash, simply hold down the Command key when selecting it. Attorneys should generally be utilizing OS X’s Secure Empty Trash feature, which erases files more securely by writing random patterns of data over a trashed file immediately after it has been emptied. By way of contrast, the standard Empty Trash command leaves information susceptible to being recovered with special utility software. With sensitive client data, the safest way is always the best way. I hope these trash tips for OS X are helpful to you. Your iPhone will charge twice as fast if you put it in “Airplane Mode”. Stop typing periods at the end of a sentence. Simply type two spaces instead and the period will appear automatically. Use the button on the bottom right of your lock screen to quickly access your camera without having to unlock it. When typing in Safari, hold down the period key to quickly add a domain in the search bar. When needing a contraction, simply type an extra letter at the end and the iPhone will automatically convert for you. 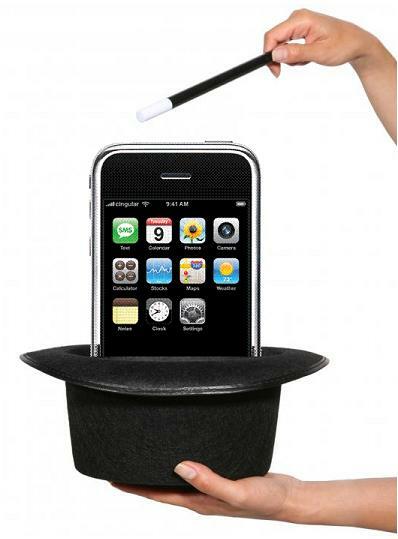 Source: “19 Mind-Blowing Tricks Every iPhone And iPad User Should Know” by Peggy Wang, published at BuzzFeed. For too many years, the Spacebar has been the largest, yet most unheralded member of the keyboard family. It’s like a pair of athletic socks – in that you’re glad you have it, but it’s not too exciting in and of itself. But wait just a minute. If you thought that the Spacebar’s only purpose in life was to create blank spots between letters, guess again. 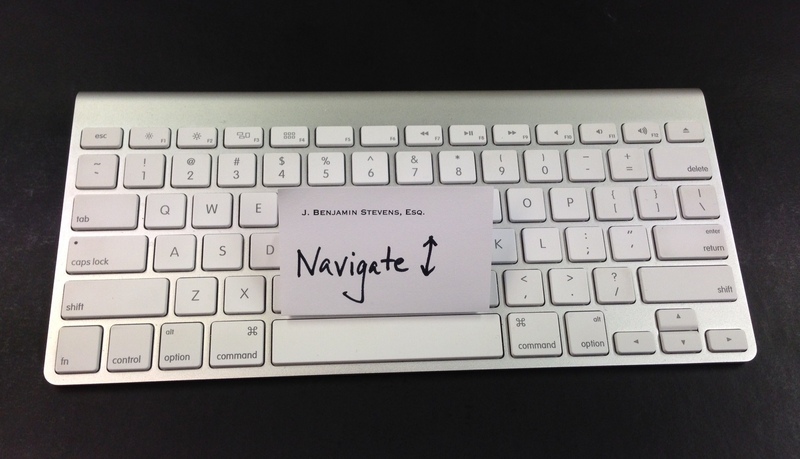 Did you know that the lowly Spacebar can help you navigate in many programs – all by its little lonesome? Merely hit your Spacebar to scroll down in page-sized increments. 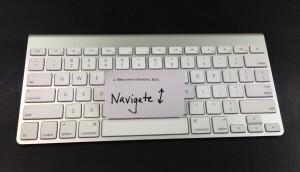 If you want to go back up, simply hit Shift + Spacebar, and up you go. This technique works in PDFs, web browsers (Chrome, Safari, Firefox, etc. ), emails, and pretty much any other program in which you are not typing into a text field. Give it a try and show your long suffering Spacebar a little love. As I’ve discussed before, my law firm, The Stevens Firm, uses web-based (SaaS) technology in many areas of our practice, as we believe that doing so enables us to work smarter, be more efficient, and provide better service to our clients. For our email needs, we use Gmail (through Google Apps for Business), because it enables us to easily access our email from anywhere in the world using any type of device imaginable. 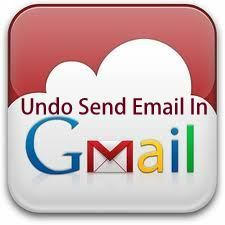 One of Gmail’s features that many lawyers don’t seem to utilize is its “Undo Send” feature, which enables you to change your mind and cancel an email 5 to 30 seconds after clicking “Send”. Once enabled, the default time delay is set at 10 seconds. However, you can make it as short as 5 seconds or as long as 30 seconds if you prefer. To customize the time delay, go back to “Settings”, navigate to the “General” tab, scroll down to the “Undo Send” section, and select the desired duration from the drop-down list. From then on, whenever you click “Send”, a yellow message box will appear alerting you that your message has been sent and giving you the option to click “Undo” or “View Message”. If you click “Undo”, the Gmail will cancel the sending of your email and will take you back to the edit pane for you to make any desired changes. Attorneys are generally not most tech-savvy professionals, though we are improving year by year. One obstacle that many lawyers encounter, whether they want to admit it or not, is the huge and ever-increasing number of tech terms and acronyms. For instance, do you know USB vs. Firewire vs. Lightening vs. Thunderbolt? How about VGA vs. DVI vs. HDMI – and what do all those acronyms mean anyway? Do you plan to network via Ethernet vs. Wi-Fi vs. Bluetooth vs. Bonjour? How does a modem differ from a router or a switch? 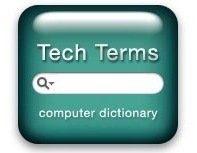 Never fear, 20 Computer Terms Every Mac User Should Know by Christopher Breen (part of Macworld’s excellent Mac 101 series) addresses all of these issues and more. It is a great resource for those pesky questions that you just don’t want to ask someone else.